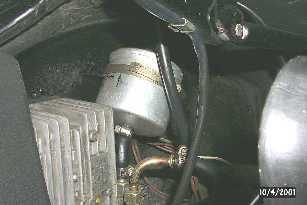 As you may know, this is the first Porsche with CIS fuel injection. I first thought of seeing if a kit was available to install the updated filter. In the past Porsche offered a kit but the updated bracket is not longer available (it must be a conspiracy!). To use the factory update would cost more money for additional parts (new accumulator, new hard line between accumulator and filter, and bracket). Being the tightwad I am, I decided I could make what I had work for much less. This led to two problems: First the fittings on the new filter needed to be modified; and Second, the filter was much longer and would not fit where the original filter went. To get the filter to plumb in correctly, I looked at the fittings on the new filter. 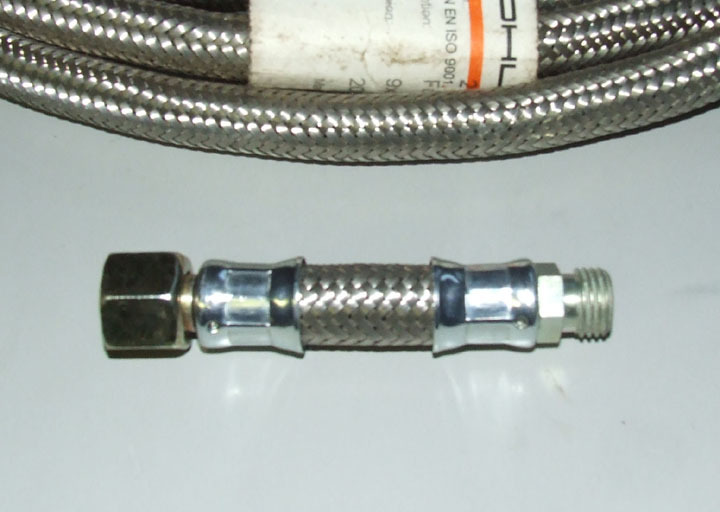 Both fittings are threaded into the filter body. 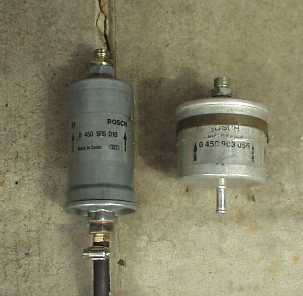 The filter body inlet and outlet threads are the same size as well. It turns out the inlet fitting flare is the same size as the outlet fitting flare on the original filter. I removed the inlet fitting and moved it to the outlet of the filter. I then took the filter to several local hose shops to see if I could purchase a fitting that threaded into the filter inlet and had a 1/4" hose barb connection. After visiting several shops and coming up empty, I had them cut the flare off of my remaining fitting and weld a 1/4" barb onto the fitting. 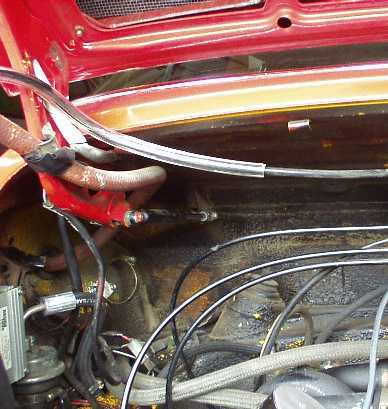 You can see the finished result, including the inlet hose attached in the first picture. I noticed that the line between the Filter and the CIS Fuel Distributor was touching the firewall at several spots. I figured that, over time, the line would rub and get thin at these spots. Not wanting a fire, I took some clear plastic tubing, slit it lengthwise and slipped it over the fuel line to act as a buffer. Now, if the line rubs, the plastic will wear and I can easily replace it with new material and not risk a fuel leak and subsequent fire. After the parts were installed, I put the key in the RUN position to let the fuel pump run. I waited about a minute and looked for fuel leaks. 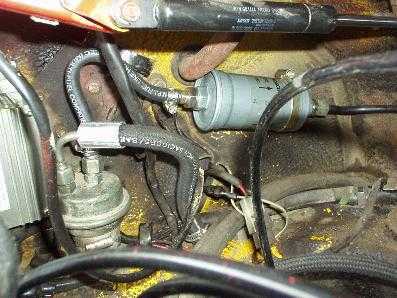 None were noted and I GENTLY pressed the air flow sensor in the inlet box up to "burp" any trapped air from the lines. I waited another minute to look for leaks. Since none were found, I started the car and went for a drive. This has been published elsewhere but is here for Posterity. 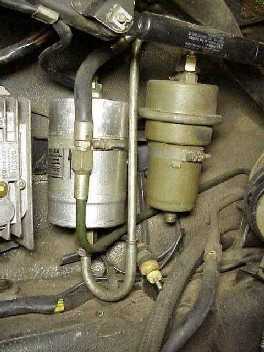 911 110 176 00 is the fuel filter - same as used in the 1975 and 1976 model years. You are correct, but I was going the cheep route and came up with what I show. Both work, Anyone can choose. thank you. that seems perfect. Good show. It looks like you have solved your problem with some good ol' fashioned "Yankee ingenuity". M16 Female x M14 Male x any length you wish. I don't remember the price, I think about $25 was what I charged. 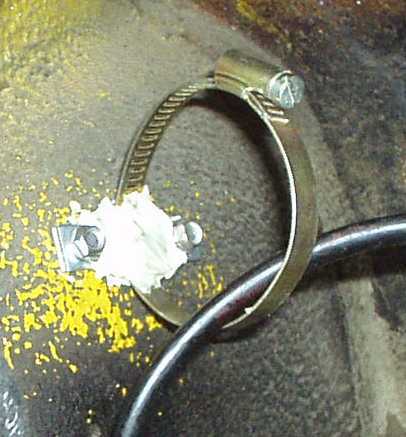 I have most Metric Fuel & Oil fittings used in a Porsche in stock, and have a few custom made ones as well. Last edited by BoxsterGT; 09-05-2010 at 02:00 PM..
Hi Jim Sims & thx for this post a few yrs ago...if i use all of the parts that you list, do i use the oe bracket or do I need a different bracket...? Anyone have a picture of what this configuration looks like when all installed...? Also, is Len's adapter hose needed & if so, where does it connect = anyone have a picture of it installed...? I never received a "installed" photo of the adapter hose, but I assume it went between the Accumulator and the Filter. FYI- I should be able to make up a "hardline" adapter to connect the two, similar to the factory piece but w the correct fittings for the new filter. My skills at brazing these small fittings has improved. Only issue is the delay in getting them plated, as they have a min charge, and I have to bring in many small pieces to make it cost effective. That and another possible delay. Being a senior has a new benefit....a "Lifetime Fishing License" from the State of NH, for no charge mind you. Once the weather warms up and I get my canoe back from a friend I loaned it to 10 yrs ago, I am going fishing. And sometime soon I will get my little Yellow 72 out of storage. Have a great Porsche day everyone. Len do you still have this adapter liner? Prefer non braided. PM me please. esses - I make these to order. I do not do pm's, cannot track them or send photos via pms.